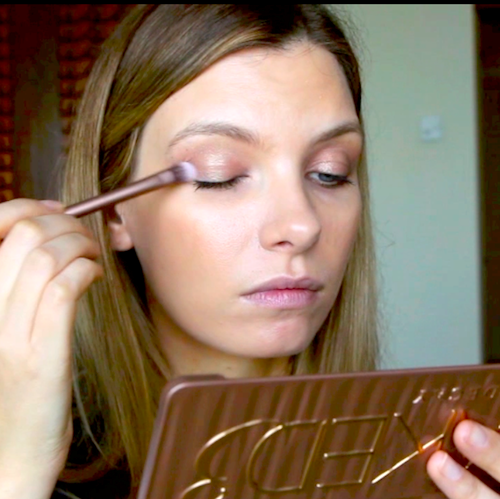 This month’s beauty favourites are unseasonably bronzey and glowy, I’m afraid; I filmed them when I was in Dubai, with the sun streaming in through my hotel window. I’m certain that my picks would have been different had I filmed in my chilly, makeshift beauty room at home – the usual criteria for winter beauty “faves” is that I can demonstrate them whilst wearing a chunky-knit polo-neck jumper! 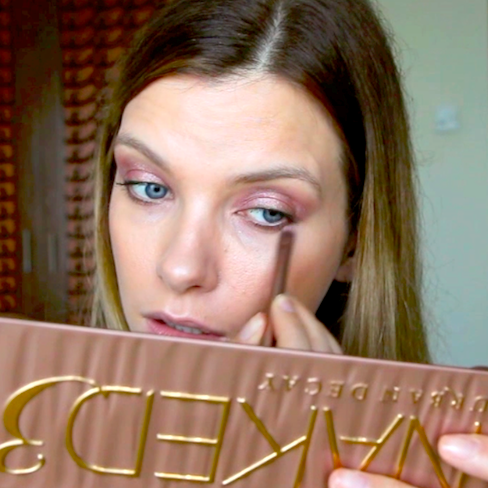 But it’s a nice change to have some bronzey bits and bobs popping up in the dead of winter – most of the makeup items I talk about in the video are actually very useful for adding a bit of life and zest to dull, sun-deprived skin. I’m becoming particularly fond of the Wonder Glow from Charlotte Tilbury, and the Naked 3 palette from Urban Decay has become something of a fixture on my bathroom shelf. It really does have quite a tasty array of shadows going on – the shades lean towards the warm, rosey end of the neutrals spectrum but are brilliant for quickly perking up sallow skin and tired, darkened eyelids. I’ll be doing a full review soon, most definitely; I really rate Urban Decay shadows and especially the Naked palettes. The more radical shimmers in the palettes can be a little hard to pull off but there always seems to be a little something for everyone – some good, tone-correcting mattes and deep, rich accent shadows for creating dramatic smokey eyes. There’ll be more soon, too, about Charlotte Tilbury’s Wonder Glow – it’s my current pre-base of choice, making any foundation that sits over the top of it extra-radiant. I’ve also included a Vita Liberata skin finisher in the mix – instant glow but this time for the body. The Latte shade that I demonstrate is great for creating an even, perfected skintone on pasty or veiny legs. It doesn’t conceal, per se, but it really helps to blur imperfections and create the illusion of smooth, flawless skin. Babyliss Pro Curl: http://goo.gl/9fY31V There is a less expensive version too, this one has more settings I think but they both work in the same way! Next Post Shopping the Sales: What I’ve Bought. So Far.